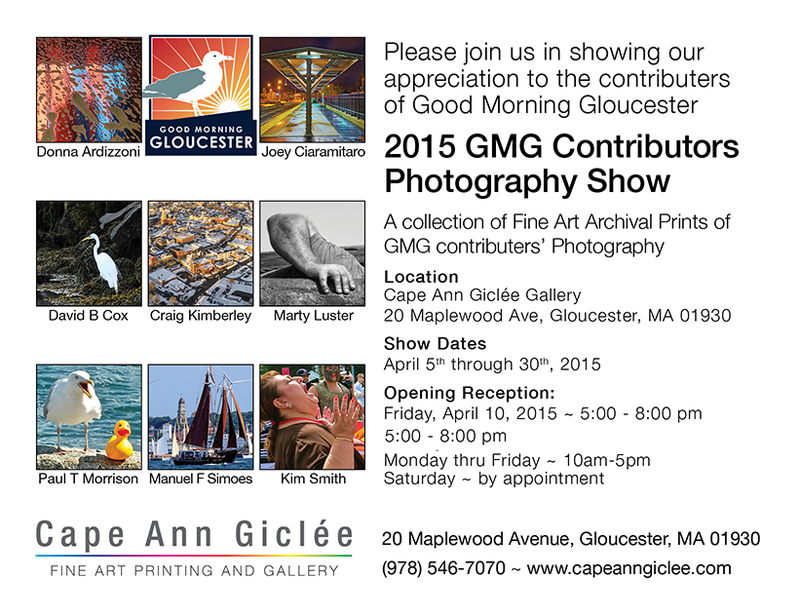 If you didn’t have the opportunity to attend the Good Morning Gloucester Contributors Photography Show opening party last weekend, please do stop in. The show runs through April 30th. I promise you won’t be disappointed! 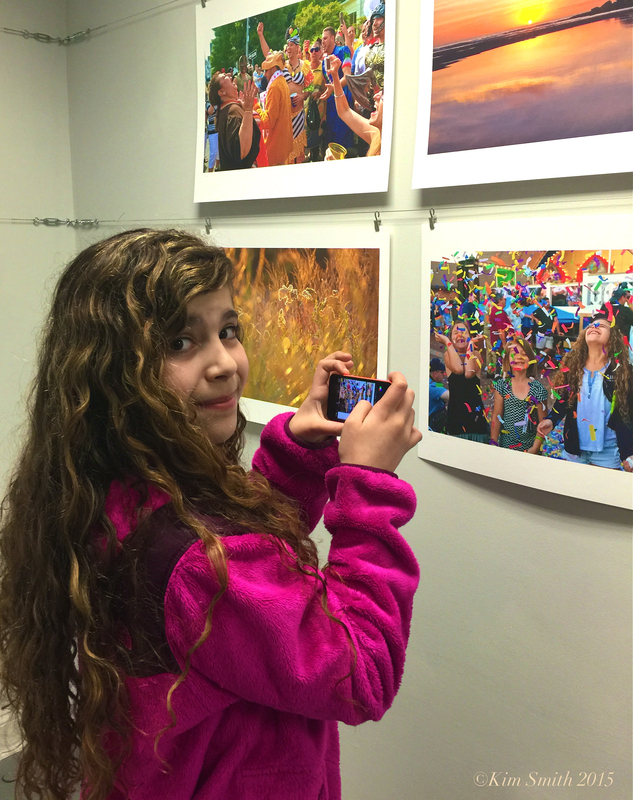 Marissa Numerosi taking a photo of the photograph of she and her friends. This entry was posted in Gloucester, Good Morning Gloucester, Photography and tagged cape ann giclee, Gloucester photos, Good Morning Gloucester, Marissa Numerosi on April 16, 2015 by Kim Smith.